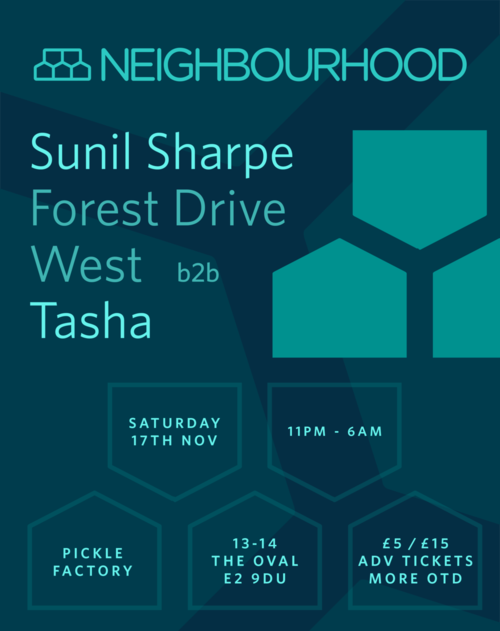 Neighbourhood is back at the Pickle Factory for their last party of the year. Welcoming Sunil Sharpe to grace the decks, an absolute master, who comes with impeccable selection and seamless mixes each and every time! After just releasing Forest Drive West's killer 4 track EP on the label it's definitely the right time to invite him back and for a b2b with the boss Tasha! !